Fears are growing for electric car owners after the battery of a BMW e-car started smoking and took more than a week underwater to finally go out. 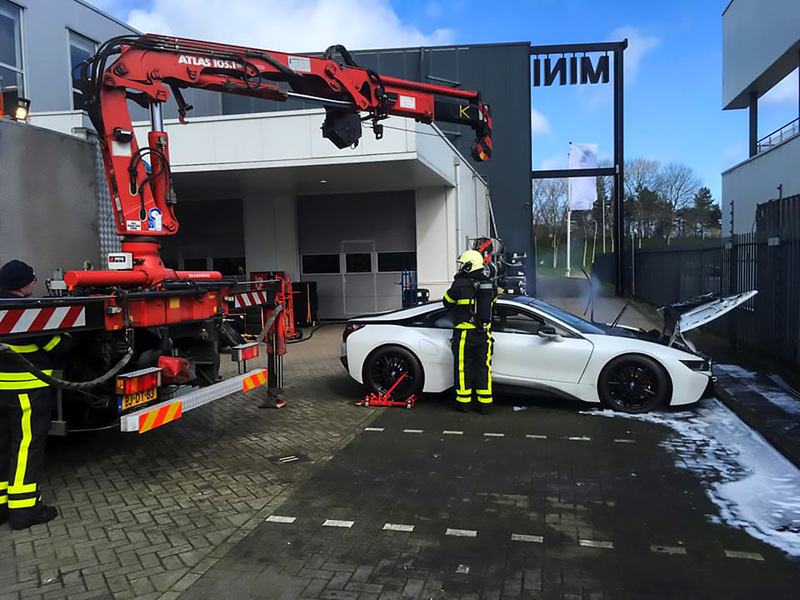 The latest e-car incident, which took place in front of a BMW dealership in Breda, a city in the province of Noord Brabant in the south of the Netherlands, saw smoke pouring from a brand new BMW i8 in the showroom. 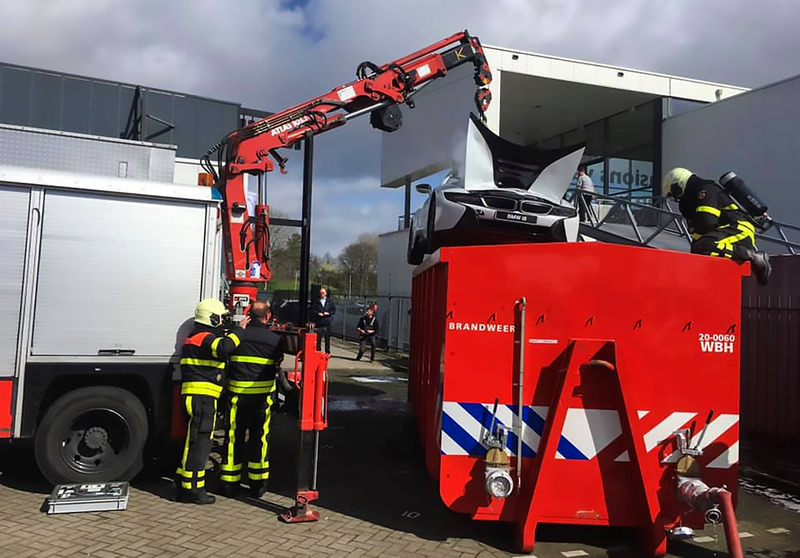 When the fire brigade arrived they found that the smoke was coming from the car’s battery before dropping the burning vehicle in a large container filled with water using a crane. 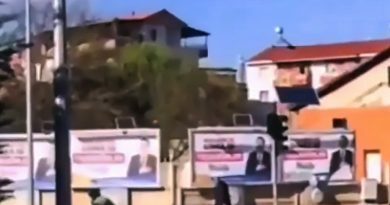 Fire chiefs had planned to leave the car underwater for 1 day but found that the car’s battery continued to smoulder for 9 days in total before finally going out, according to local media. A fire brigade spokesman said: “This morning, an electric car started to smoke in a dealership showroom. Firefighters decided to bring an open-top container to the site and then proceeded to fill it up with water. 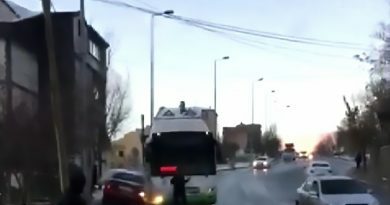 They then dropped the BMW inside it using a crane, according to reports. Several experts have warned about the risks of driving electric cars after the emergency services reported an increasing number of related accidents. They have reportedly raised concerns about electrocution, auto-ignition and poisonous gases in the case of e-car accidents, adding that rescue workers do not always recognise the dangers involved. According to electric car manufacturer Tesla, fire brigades need substantial amounts of water to extinguish e-vehicle fires compared to normal car accidents. 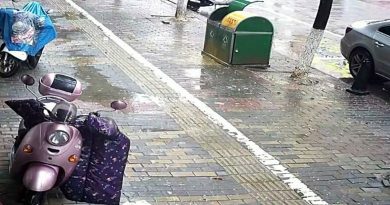 He said that pouring water over high-voltage vehicles is not a problem as long as firefighters stick to the correct guidelines for electrical fires and wear protective gear. Electric car batteries sometimes suddenly ignite again, according to Derungs. When former ‘Top Gear’ presenter Richard Hammond famously crashed his electric Rimac sports car in the Swiss town of Hemberg, firefighters had to cool the wreckage for several hours. According to Derungs, in normal circumstances there should not be an increased risk for e-car occupants in the event of an accident. However, if the vehicle is badly damaged, protective mechanisms may fail and high-voltage components could pose a risk if they are touched without wearing protective gear. 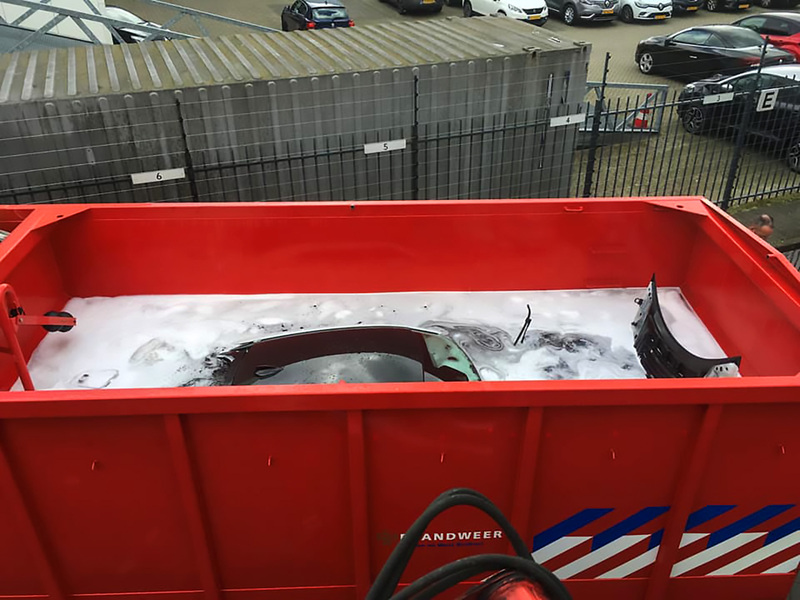 The aim was to leave the hybrid sports car in the water for one day, but as the car “was still smouldering”, they had no choice but to leave it in the container for longer. The BMW i8, which retails for around 110,000 GBP in the UK, was finally removed from the tank on 3rd April after nine full days. It was not reported if the BMW could still be salvaged.